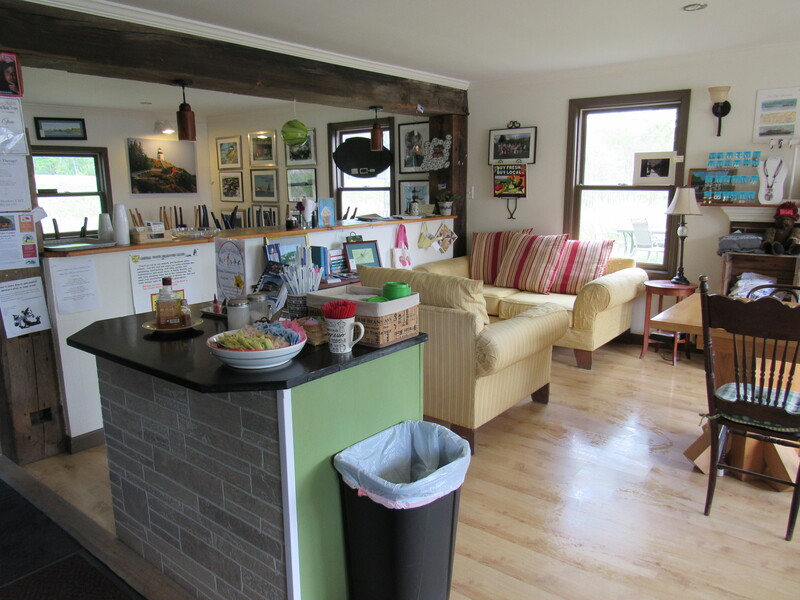 For several years we have been mentioning the WWOOF program that we are hosts for. It is a volunteer program based on the exchange of work for room and board. For the people working on farms, it allows for an opportunity to see another part of the world, travel in a fairly inexpensive way, live with others in a community, and learn a new skill. We have been hosting WWOOF volunteers for about 5 years and have had wonderful experiences. For us, we have been just as committed to making sure the experience for the volunteer traveler is as rewarding as the help they give us. Usually we ask for about 4-5 hours of work a day in exchange for room and board. 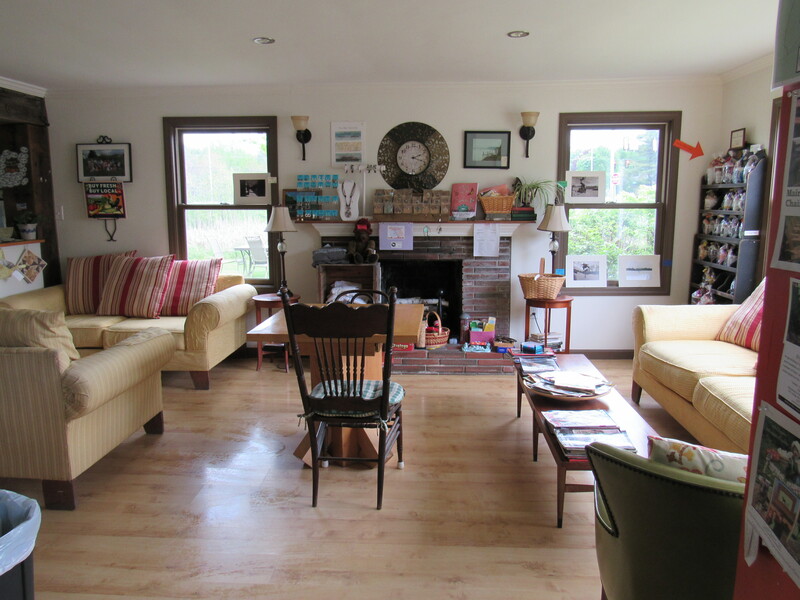 We want the folks that visit us to feel at home, to have enough free time to see the beauty of Maine, and to experience the lifestyle of a small rural community. There is a lot more to it than this prearranged barter of work for board. 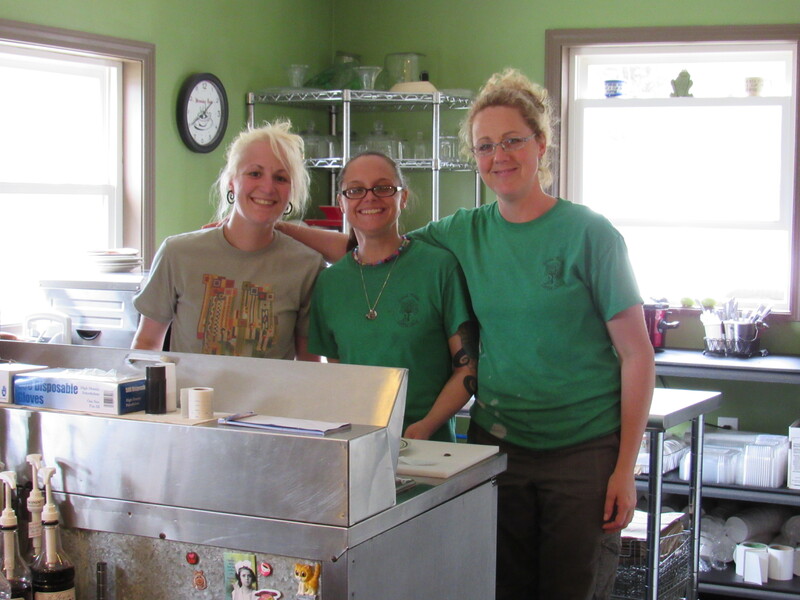 Our WWOOF volunteers come as WWOOFer’s, but leave as friends. We almost always hate to see them go. Most recently we had a three week visit with Cristina from Milan, Italy. She was awesome! We loved having her around, we loved all of our meals together, sitting around the table chatting about everything under the sun. We learned a lot about life in Italy, she learned a lot about small rural towns in New England. She was an amazing help here at the nursery during our busiest time of the season. On her time off, Cristina was able to bike or hike and visit the wonderful lakes we have near by. Last season we had visitors from Columbia, California, and a young friend from right here in Maine. Next week another young college student is arriving from Connecticut. 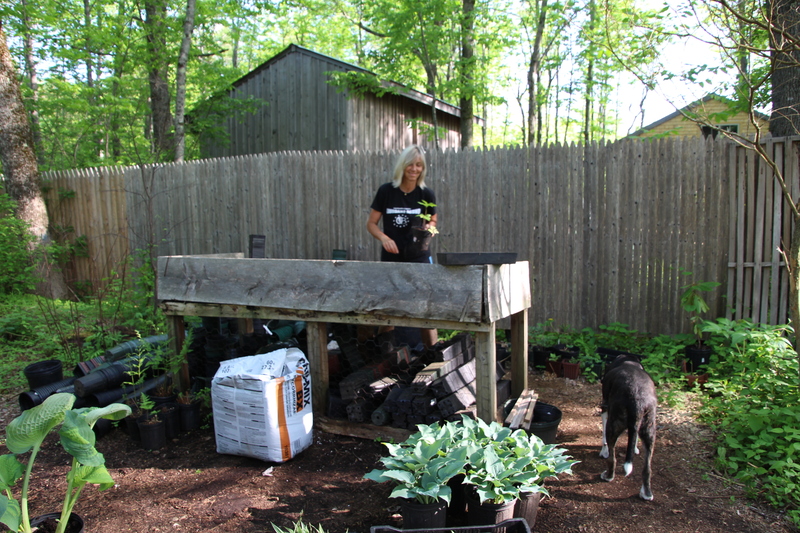 She contacted us and expressed an interest in learning more about growing her own food and sustainability. I think she’d also like to play around with some fiber. We can surely make this happen…….plenty of wool kicking around! Since being part of this awesome exchange program we have considered WWOOFing ourselves. You can WWOOF at any age, and can pretty much go anywhere in the world. Where would we go? I’ll have to think about that! Oh, the list of things to tackle today! We are grateful for the rain. No watering necessary in the nursery, nature did it for us. But now, some serious weeding. Didn’t we just go through that bed? Thank goodness for the leaf mulch we so carefully spread, it certainly helps with weed control ( and feeds the soil). We have a young friend coming today who loves gardening, loves to be here at the nursery, and loves weeding. How lucky we are! These are just a few tasks I can think of at the moment. More will come to mind as soon as we step outside. 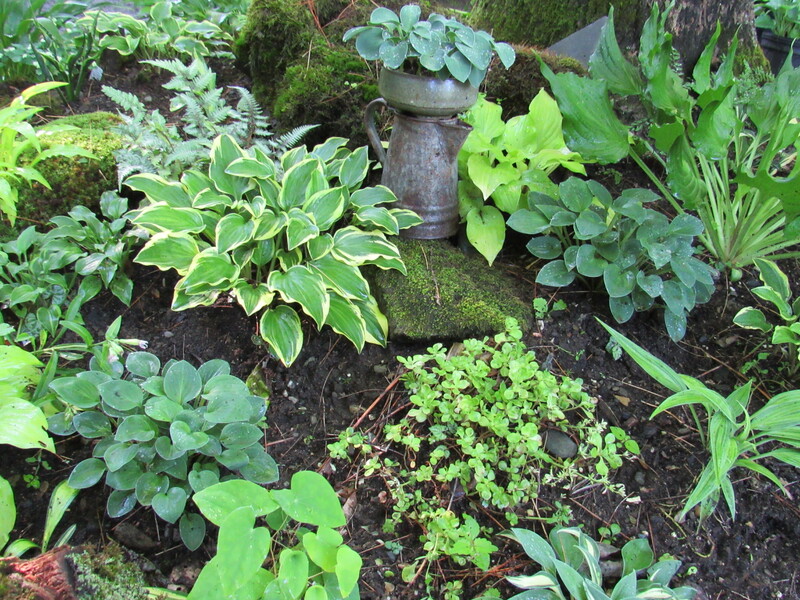 Visitors here at the nursery have been enjoying the bed of mini hosta we planted a year ago. 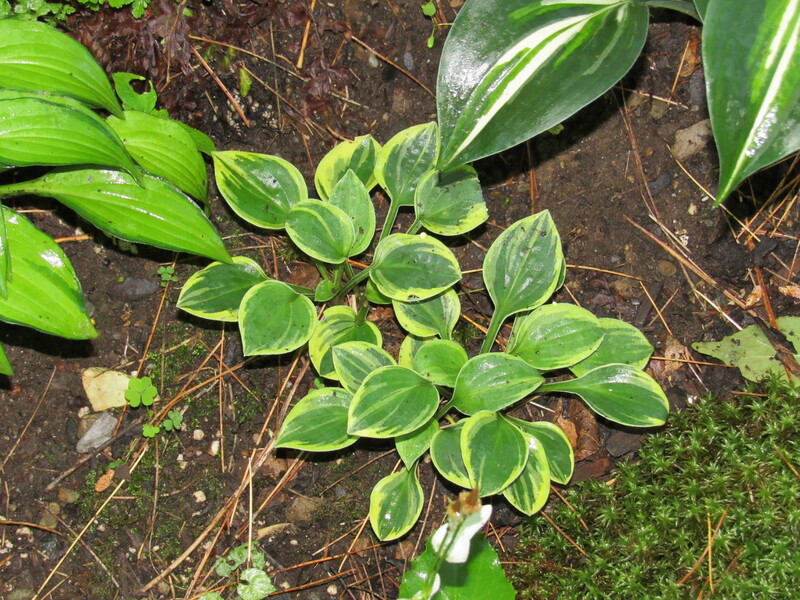 There is a huge selection of mini hosta on the market. We carry at least 30 different varieties. 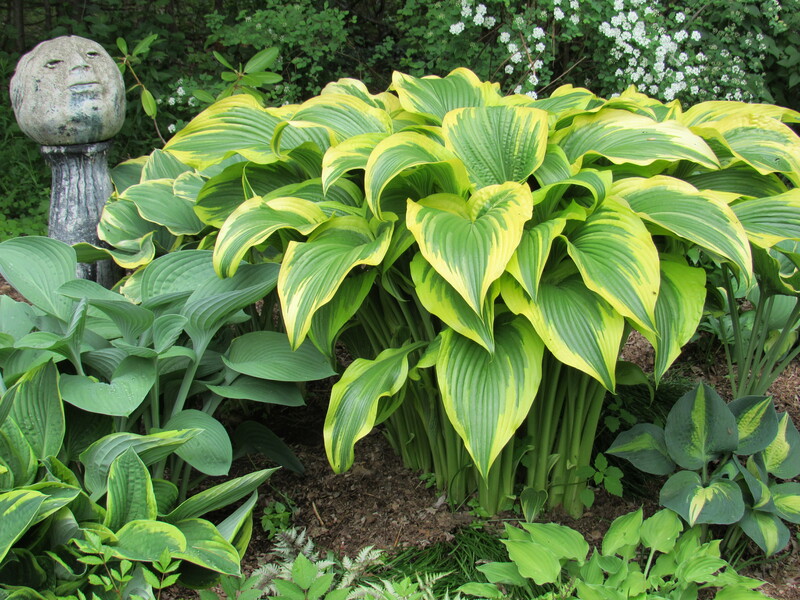 Mini hostas can range in size from 2 to 6 inches. If you have a small shady space and want to fill it, consider these miniatures. Besides, they have great names like Teeny- weeny Bikini, Mighty Mouse, Dragon Tails, Pure Heart, and Chartreuse Wiggles, to name a few. Enjoy the day and happy gardening everyone! Can we really be at the end of June? I guess so. 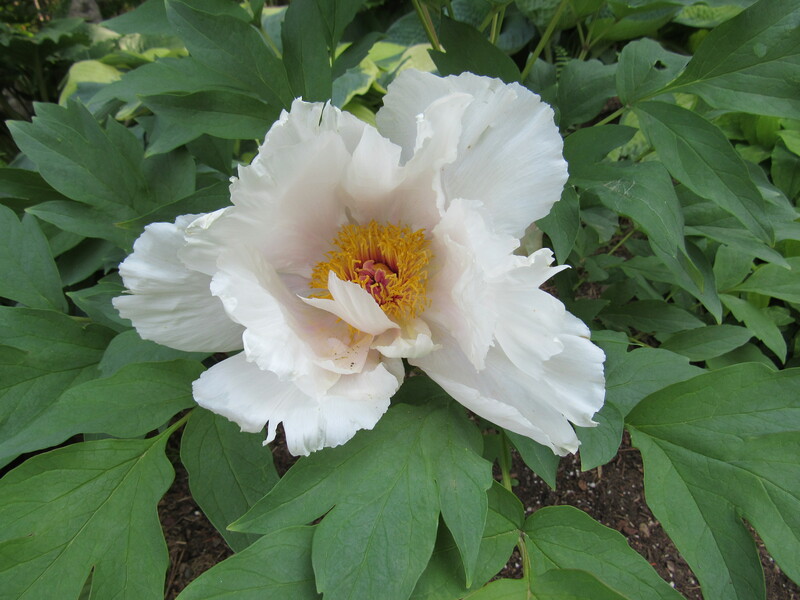 Our world here in the summer, running the nursery, growing the gardens, keep us in a state of constant motion. Next thing you know, another month has gone by. It may seem that the flurry of work, all the chores to be tended to, give us no opportunity to stop and enjoy all that surrounds us. Yes, some days it feels like that. But often we practice being mindful of all the glorious wonders that surround us. The plants that we love. The animals that share our property. The woods and streams that offer up their own beauty without any hand from us. What I love most about choosing this life, this life that embraces the natural world, is the opportunity to take notice and celebrate every little wonder. 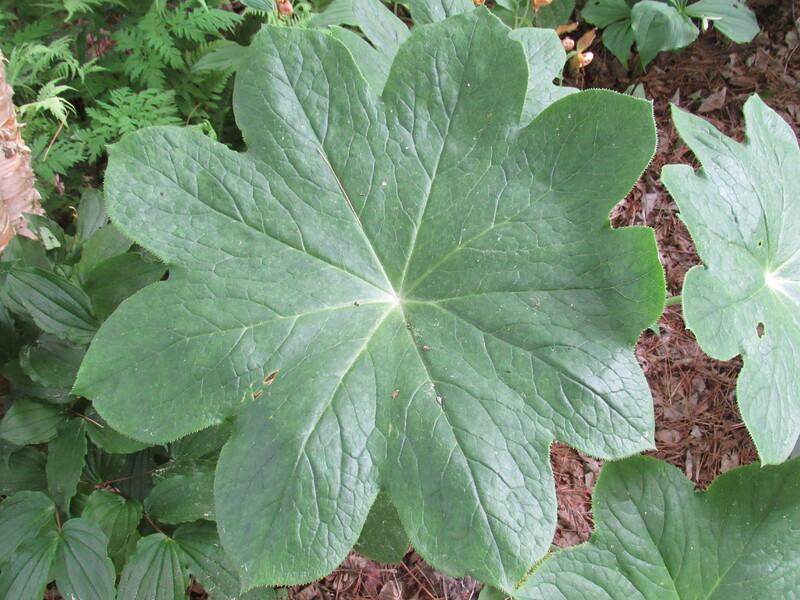 I went out to look at the plant Dysosma pleiantha, it’s large plate like leaves with its very finely serrated edges. 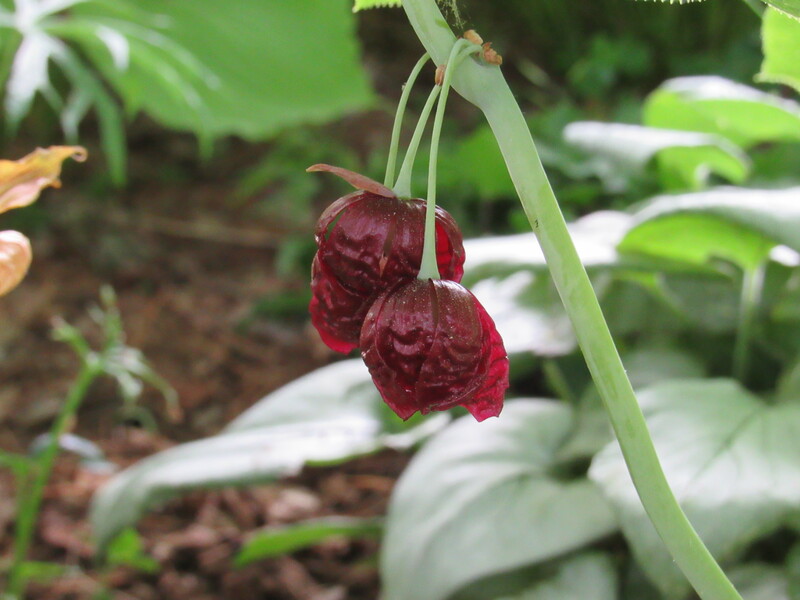 Underneath hangs its deep crimson flower. Well, this is all pretty amazing. Quite stunning. I’ll go back and look at this plant over and over again, it’s an intriguing plant. 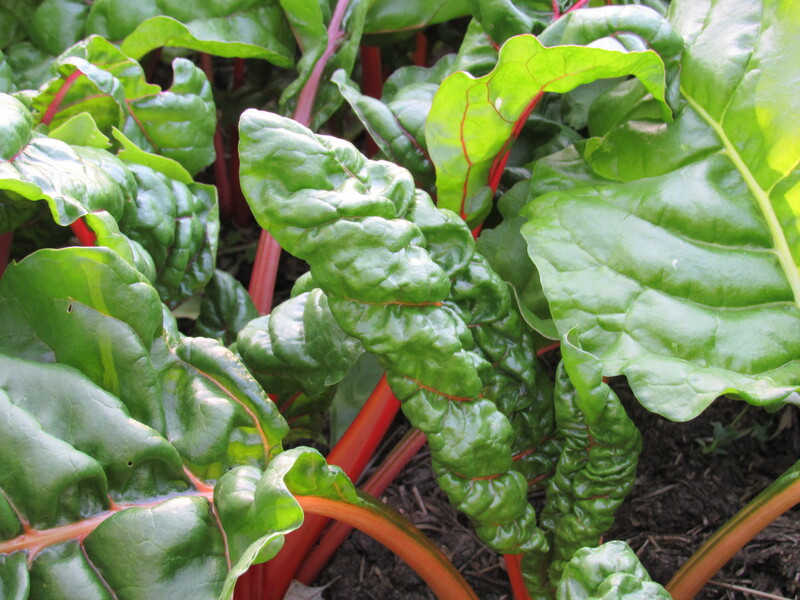 But then I travel over to the vegetable garden to pick some Swiss chard. It would be very tasty in the Sunday morning omelets we’re making. Well, my goodness, look at the beauty of this plant! Is it any less stunning? Not really. I almost hate to pick it, but I will. More will grow in its place. Going from the Dysosma pleanthum to the common but beautiful Rainbow Swiss chard reminds me of the glory of all plants. Food for body and soul. 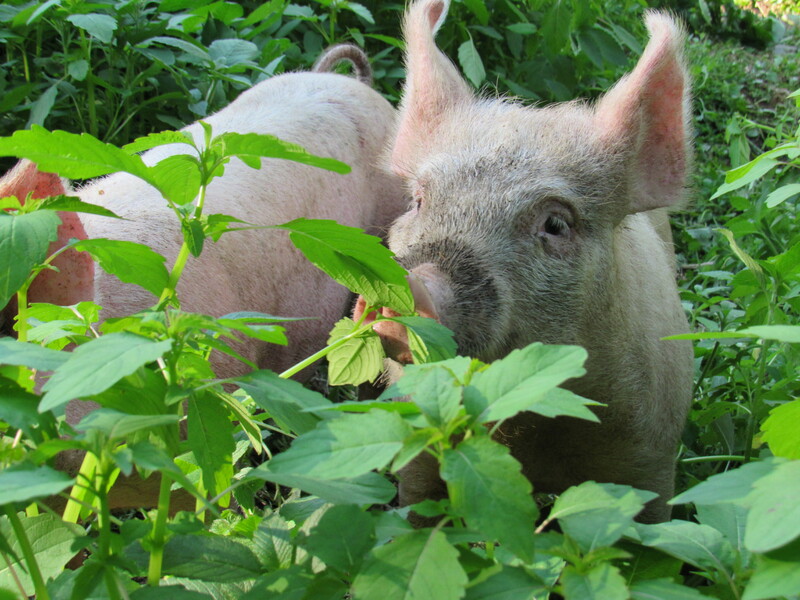 There are two little piggies here at Fernwood. 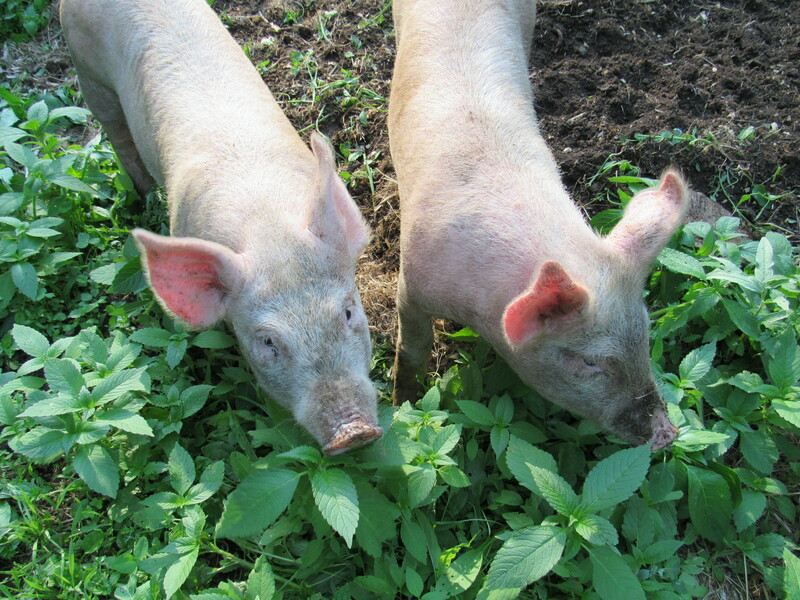 Two young sows who love to root and roll in the greenery out behind the barn. They can plow sod just as fast as any farming implement. The pigs always have access to both indoors and out. During the hottest part of the day they like to be inside the cool barn stretched out in the hay. Early mornings they fly out the door, sprint a few laps around their paddock, and then get right down to business rooting up the ground looking for tasty morsels. Pigs are the ultimate recycler. They are omnivores ( although we don’t usually feed them any meat scraps), their diet consists of food leftovers ( mostly bread, potatoes, sour milk, and rice), grain, and whatever they forage on their own. Fresh water is always available, pigs do drink a lot. We find that we do need to check on their water several times throughout the day. Not because they run out, but if you put a pail or bucket of water in with pigs, they’ll drink their fill, then step in it or turn the whole bucket over and then proceed to play with the bucket. Their antics keep us very entertained. 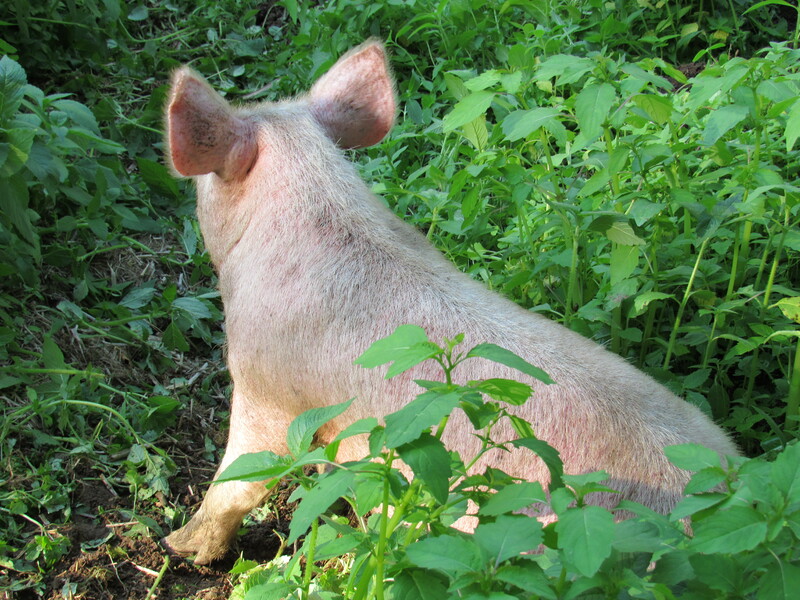 We raise pigs every year, and we often position their run in an area on the farm that needs clearing. This year they’ll be cleaning up an area where the Jerusalem artichokes have been given too much freedom. We are counting on them being ‘earthmovers in residence’ while digesting some of the sunchokes. Free food plus rototilling, who can beat that? 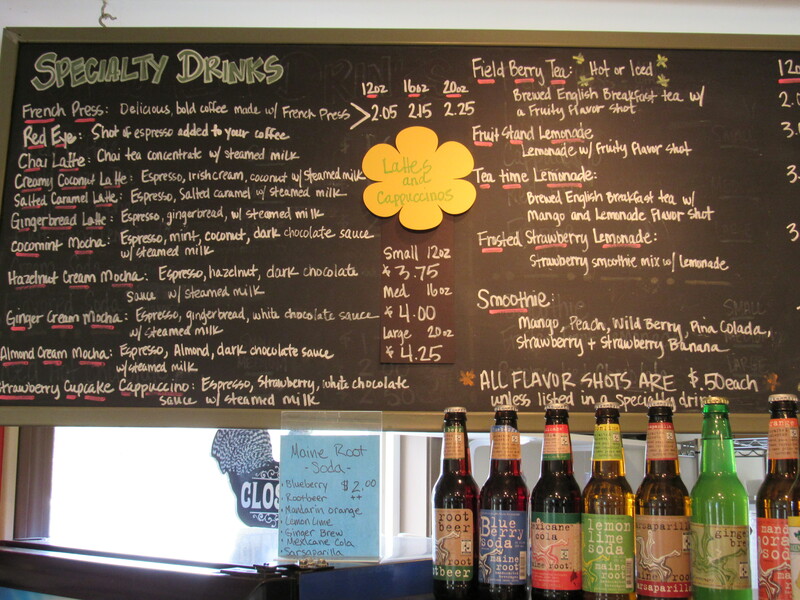 Down At The Green Bean! 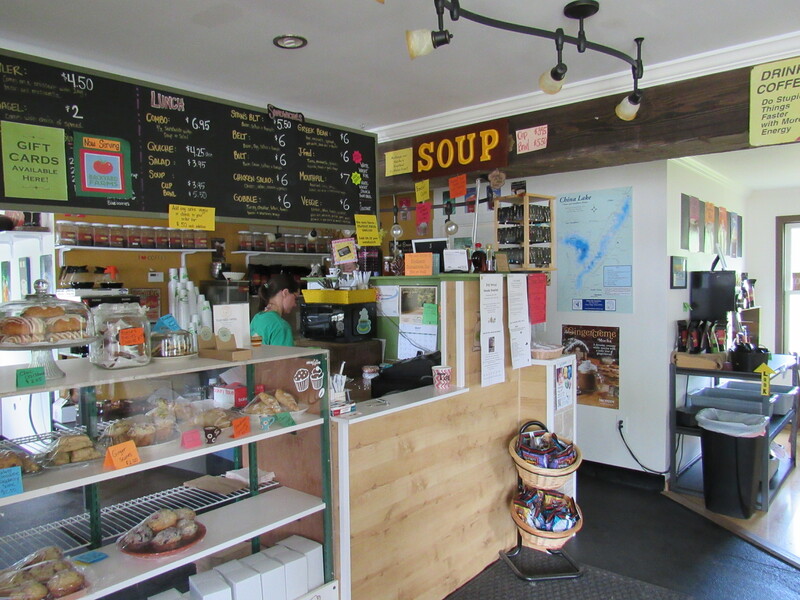 When we travel south towards Portland ( on the rare occasions that we do), we always stop at this awesome cafe…..The Green Bean in China , Maine. It’s really only about 25 minutes away from the nursery, just off RT. 3. If it were closer, we’d be stopping in there for coffee and goodies daily. 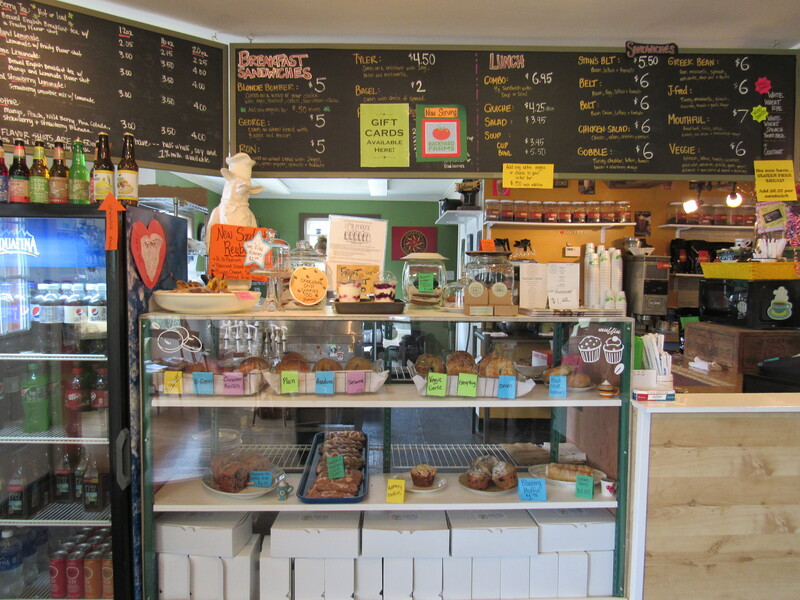 The green Bean is the kind of place you want to sit down and stay awhile. It’s super cozy, the staff that works there are really friendly, and the food is great! I’m never disappointed with what I order from the Green Bean. Sometimes it’s a quick in and out……great coffee and a homemade scone ( I think I had a delicious raspberry nut scone last time) or a freshly baked muffin. But if I do get the chance to ‘sit down and stay awhile’, their breakfast and lunch menu is terrific. 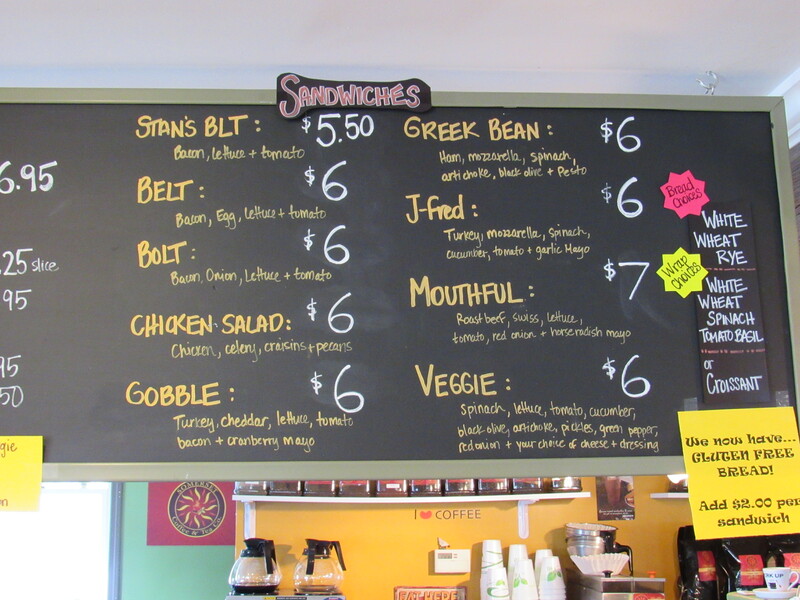 Nancy ( the owner) has come up with a delicious and creative selection of sandwich options. Hard to choose! They’re all so good! Usually there is a homemade soup available as well. The breakfast sandwiches? You could only replicate them at home. The inside of the cafe is cozy, lots of books to browse through and wonderful art to check out. The art is mostly from local artists and crafters. 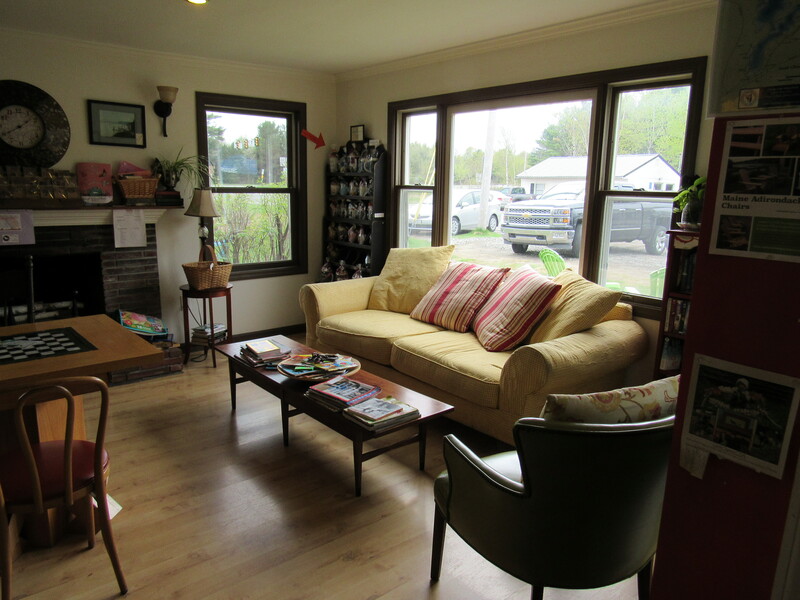 And, as you can see, there are some real comfy places to sit, relax, and have a cup of tea or coffee. We love going to the Green Bean. It is really a great little place! Check them out…….you’ll be so glad you did! According to the calendar summer starts officially on June 21st. The kids at school are still waiting for that last bell to ring, for the doors to swing open, and to be let out for their long awaited summer vacation. 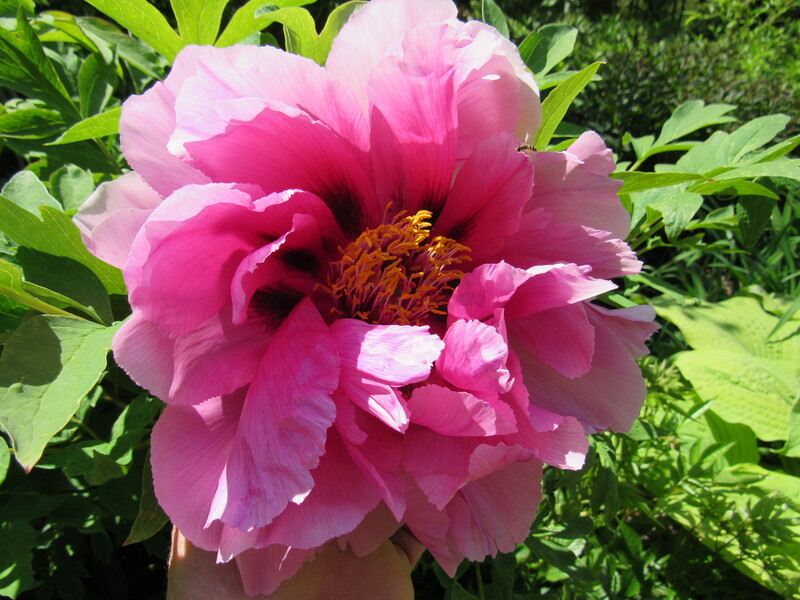 Here at the nursery, we feel like we’re in the throes of summer. Even if the weather has been on the cool side. Even if it is still officially spring. Our season starts early ( well, not so early this year! 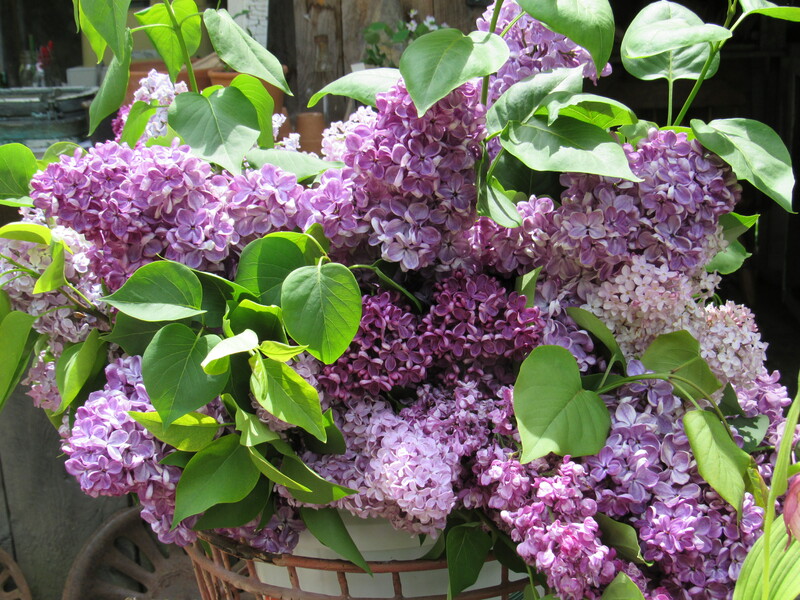 ), and by this time we have a substantial part of the growing season under our belt. Oh yes, lots more to come. The pace of summer will be with us for awhile. 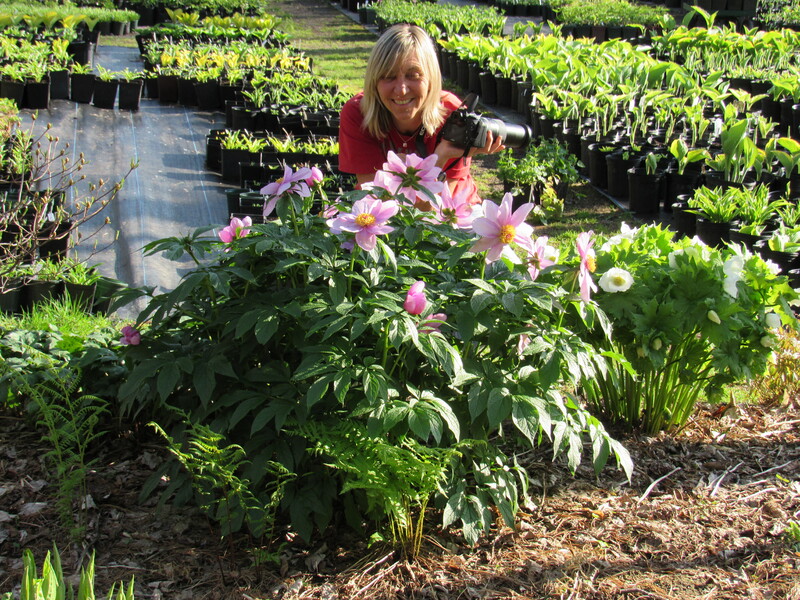 We love the activity, we love chatting with our customers who visit the nursery, we even love weeding! Here are a few photos from around the garden. We are bustling along here. New varieties of hosta being potted up daily. The sales area stocked with great native and woodland plants. The vegetable gardens filling in. The studio building is coming along. Our friend Ron has begun building a small cabin on our property, we love having him as a neighbor. He has been excited with the concept of the “Tiny House” movement and is working on his own version. Always something new and happening here at Fernwood! The next hypertufa building class will be happening on Sunday, June 28th from 1:00 to 3:00. 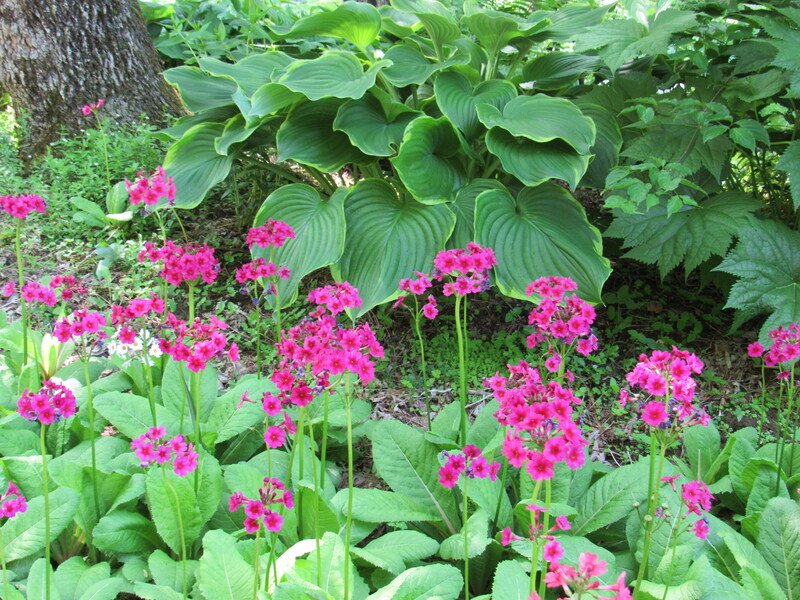 If you’d like to learn how to build your very own hypertufa pot, enjoy conversation with other gardeners, and nibble on homemade scones, consider signing up. It’s a fun time and a great opportunity to learn a new skill. Everyday we plant a little more in the vegetable garden. Out of the three gardens we use to raise vegetables, the front garden is always planted with a few flowers among the edibles. I’ve always done this. 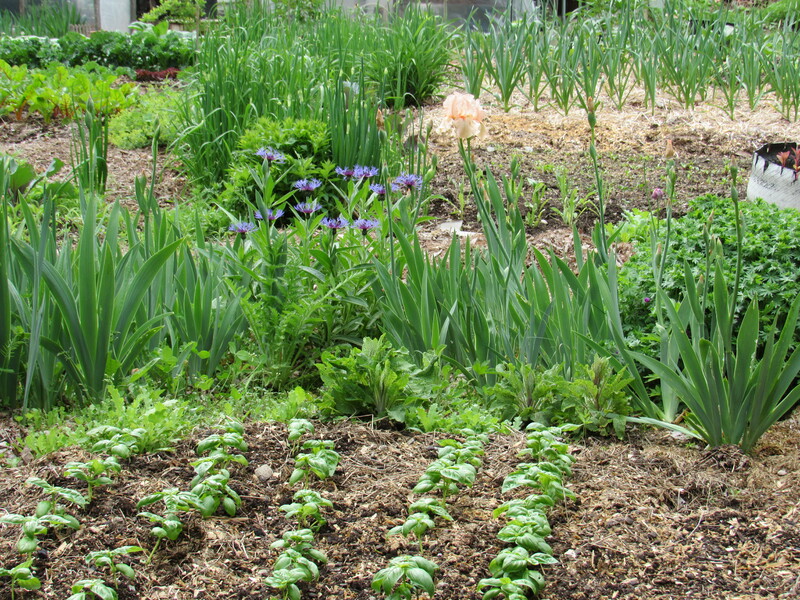 Herbs, flowers, and vegetables all mingle together in this particular site. It’s my favorite garden ( aside from the ornamental beds). The other two are strictly for vegetables. All in all we grow about a 1/2 an acre of vegetables. I thought this year we would scale down, our household has fewer eaters in it now, but the reduction hasn’t happened. Even though both kids have their own place, they still show up and ‘shop’ here. They know where to get really great organic food……cheap ( from mom!). Fine with me, otherwise I may not see them for weeks! When you’re hungry, go home, mom will always feed you. We have had several days of rain and cooler temperatures. The rain has been needed, the gardens and woods have been very dry. We did manage to get all the squash, tomatoes, and eggplant in before the rain. Also, new rows of carrots and greens. The last of the peppers are in the greenhouse, happy to be under cover and a bit warmer. I have to admit we are a bit happy to have a few days of rain that forces us out of the gardens, keeps us from mowing lawns, and allows us to tend to some other less physical chores. Chores like baking pie! Rhubarb pie ! The rhubarb is giant right now and ready for picking. I don’t often make strawberry rhubarb pie, just straight rhubarb, the way my grandmother made it. I’ll share the recipe as best I can. It’s not written down, just in my head from years of making it along with her. So here it goes……. First I make the crust, keeping it in the fridge to chill until I’m ready to roll it out. I use about 5 cups of chopped rhubarb ( cut into 1 inch chunks). In a large bowl, I mix the rhubarb, two cups of sugar, 1/2 cup of flour, about 1 tsp. cinnamon. 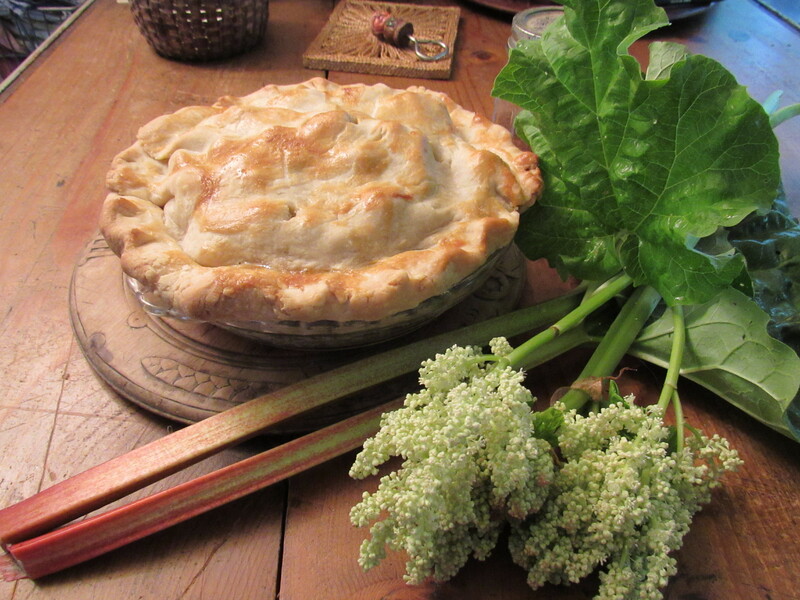 I toss this around using my hands so that the rhubarb is well coated in flour and sugar. Then I add 3 well beaten eggs and mix this all together. Roll out your bottom crust, fill with the rhubarb, dot with butter, and then cover with top crust. I always bake pies for the first 15 minutes in a hot 400 degree oven, then turn it down to 350, for another 35 minutes or so. Let it cool quite well before slicing so the pie filling firms up a bit. I know that people who are more familiar with the strawberry/ rhubarb version are always quite surprised at how nice this pie is without the addition of a sweeter fruit( strawberry). Try it, and save your strawberries for shortcake( or better yet, make both kinds!). 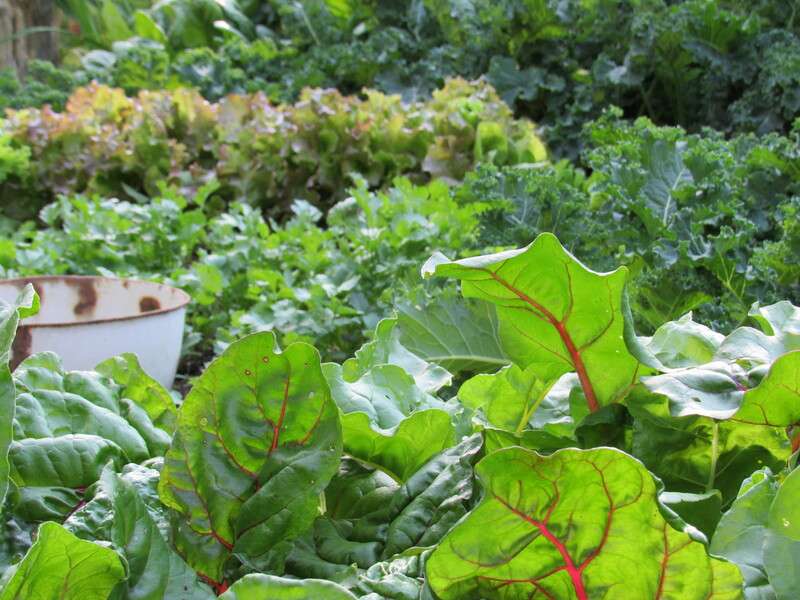 In addition to all the rhubarb that’s being picked, a bounty of lettuce and greens are being harvested. 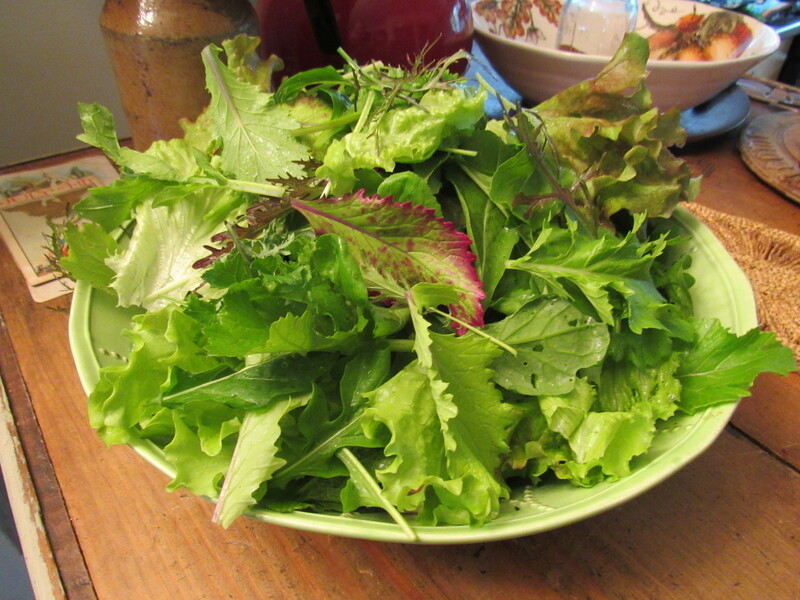 Every meal now includes fresh greens. We’ve waited so long for this!